Joseph Fiennes stars in Terence Rattigan’s 1960 play Ross. 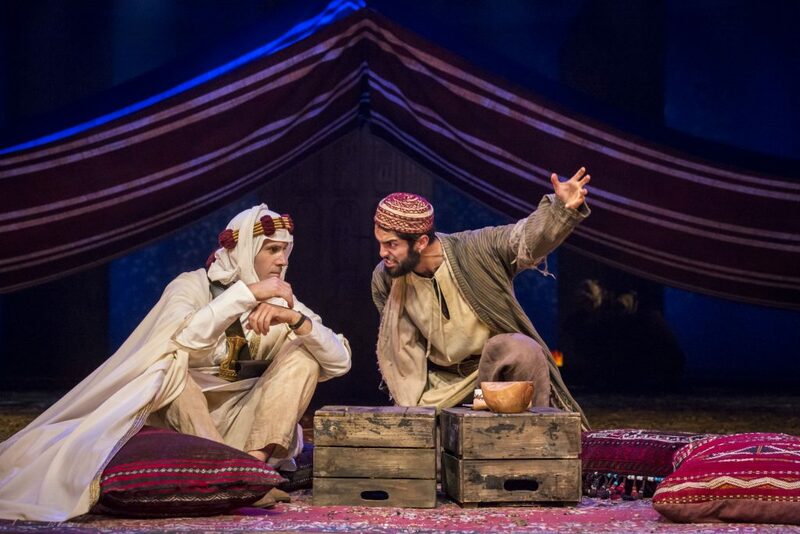 An epic, probing drama revealing the deeply conflicted Englishman behind the heroic legend, Lawrence of Arabia. Arrogant, flippant, withdrawn and with a talent for self-concealment, Aircraftman Ross seems an odd recruit for the Royal Air Force. Behind the false name is an enigma; a man who started as a civilian in the Map Office in 1914. Despite not enlisting let alone receiving an official commission, he went on to mastermind some of the most audacious military victories in the history of the British Army, including the 1916 Arab Revolt against the Turks. These victories earned him an enduring and romantic nom de guerre: Lawrence of Arabia. Joseph Fiennes plays the title role, directed by Adrian Noble. 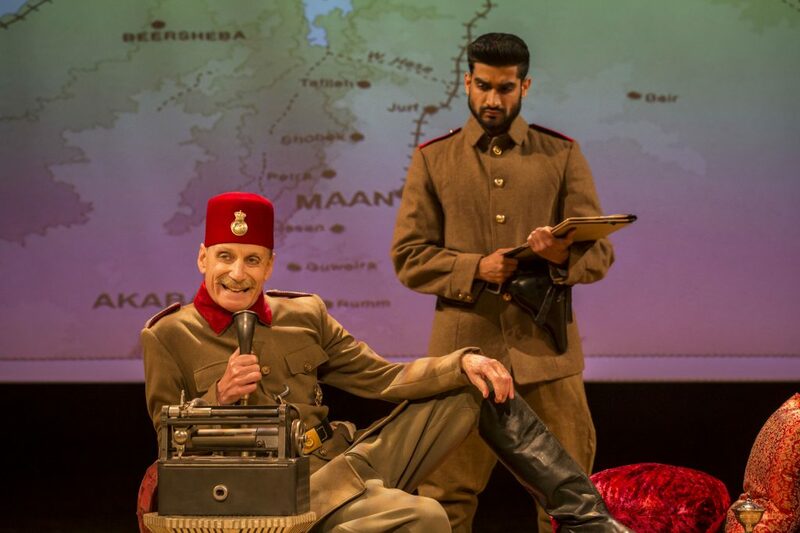 Ross is currently running at Chichester Festival Theatre from 3 – 25 June 2016. Incredibly Rattigan wrote this play ten years before Joseph Fiennes was born. 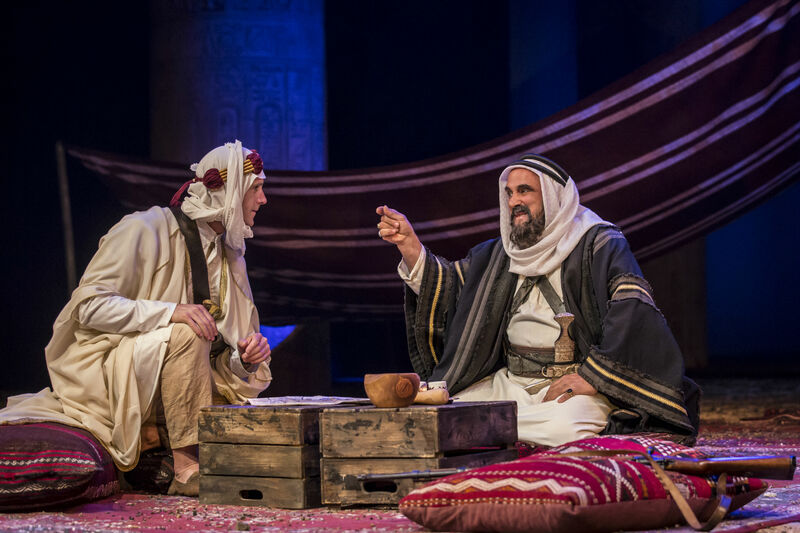 The dialogue is moving and the play is both relevant and modern within its historical field. The play portrays humour and darkness, romance and tragedy. The strong cast work well together. With Paul Freeman as General Allenby; the chemistry between Freeman and Fiennes is both interesting and amusing. The music by Mia Soteriou and sound by Paul Groothuis add to the atmosphere in the desert and within the raf. With lighting by Paul Pyant and design by William Dudley, the stage is set for the adventures of T.E. Lawrence. Brought up in Chichester, Adrian Noble makes his Festival debut. He was Artistic Director of the RSC 1990-2003; his recent productions include The Importance of Being Earnest and Chitty Chitty Bang Bang in the West End, and co-directing Kate Bush’s recent concert series Before the Dawn. Probably the best play I’ve seen at Chichester Festival Theatre for a few years, and I’ve seen a lot. 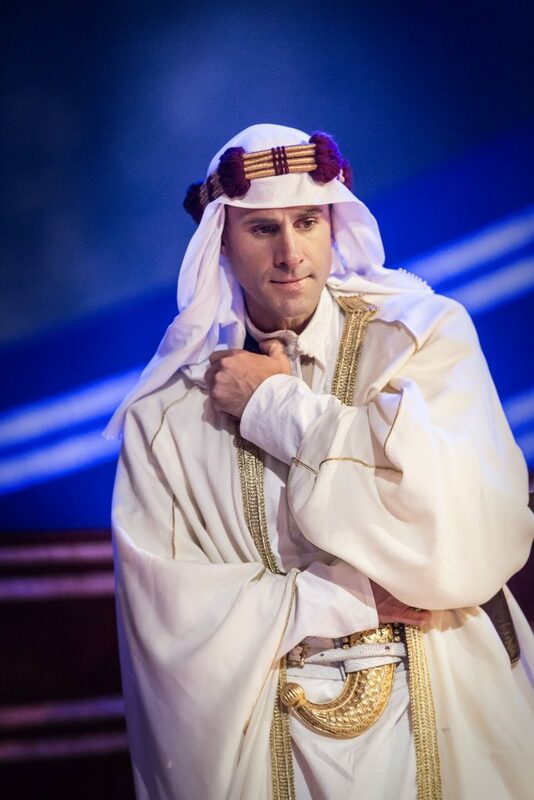 A truly engaging performance by Joseph Fiennes, culminating in a well deserved standing ovation! Joseph Fiennes takes us back on a journey, showing us the complications of emotions and relationships through Lawrence’s disturbing and complex life.